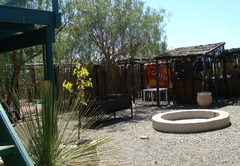 Natures Rest Lapa is a property providing self catering in Oudtshoorn for tourists visiting the Karoo region. 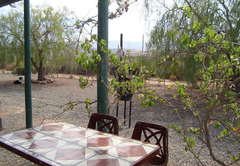 Nature's Rest Lapa is an off the grid farm powered only by solar, this is the ideal getaway for nature lovers. 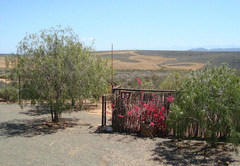 The farm is located halfway between George and Oudtshoorn with a 'Klein Karoo' character. 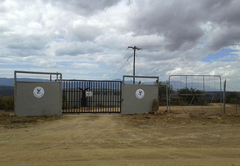 Mountain bikers will love this farm as it is on the Outeniqua Trail and there are smaller trails on the farm itself. 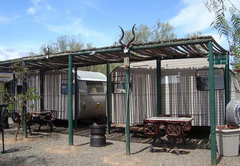 The farm consists of various units which include camping and caravan sites. 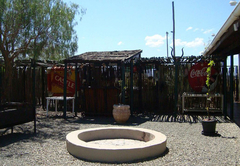 A large boma and braai with a deck for viewing stars at night and looking over the area is available for guests to enjoy. 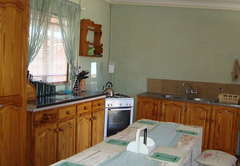 There is a communal kitchen shared by the rooms and caravans. 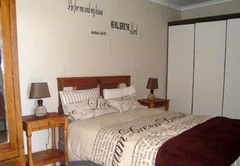 This room sleeps three guests in one double bed and one single bed. 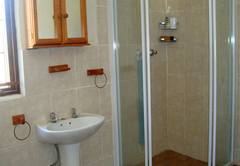 There is an en-suite bathroom with a shower and a toilet. Linen and bath towels are supplied. 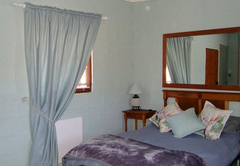 The Karoo Room sleeps four guests in a double bed and a bunk bed. 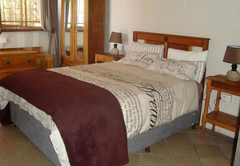 There is an en-suite bathroom and linen and bath towels are supplied. 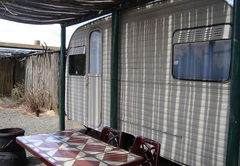 The caravans sleep four guests in a double bed and two single beds. Sleeping bags, cushions and blankets are provided however guests need to bring their own towels. 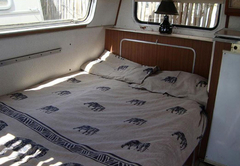 A kitchen and bathroom is shared with caravan six. 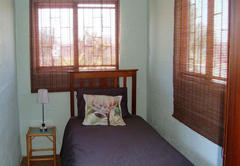 Protea Room sleeps three people in one double bed and one single bed. 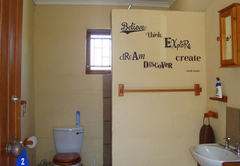 The room has an en-suite bathroom with a shower, a toilet and a basin. Linen and bath towels are supplied. 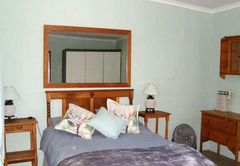 Karoo Room sleeps four persons in a double bed and a bunk bed. 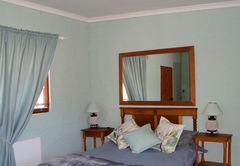 There is an en-suite bathroom and linen and bath towels are supplied. 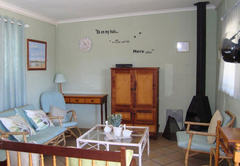 The braai area and communal kitchen is shared with other rooms. Provide sleeping bags, cushions, blanket - bring own towels, Double bed, 2 single beds, Share kitchen and bathroom with Caravan 6, Very basic economy accommodation. Response timeNatures Rest Lapa typically responds to requests in 5-10 minutes.